Lindye Galloway Interiors is a full-service interior design firm in Orange County, making sunny SoCal even sunnier with better-looking homes. We specialize in complete remodels and even new builds (if you fancy like that) as well as complete furniture and styling design. 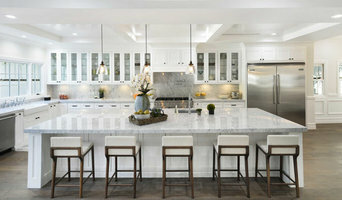 Since swinging her doors open, Lindye has been recognized for her unique, trend-setting designs in top publications and blogs including HGTV.com, Domino Magazine, Ryan Seacrest, Huffington Post, Apartment Therapy, West Elm, Pottery Barn, and even wrote as a regular design columnist for Orange County Family Magazine. Lindye has a unique eye for design, and an ability to mix styles and bring a fresh, modern look to homes while utilizing comfort and practicality. We believe in creating unique spaces that balance form and function for you to stylishly exist in. We believe in designing a space that is a reflection of your individual style and personality! And we believe in all things pretty. We hope you’ll give us a call when it’s time to beautify your abode. One visit tells you why: a stunning collection representing the world’s most exclusive styles and trends in modern furnishings. 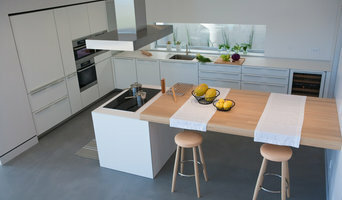 Kitchen and Bath Design; Interior Design D M Designs is best known for creating livable interiors combined with aesthetically pleasing details and originality of design. Donna combines her life experiences and education to assist her clients in designing spaces to reflect their personality and vision. And, she also believes that "good design is timeless." Donna has over 20 years experience in the design industry and is not only interested in the aesthetics of her projects but that they suit her client's lifestyle. Whether you're looking for a complete remodel, new construction or simply an updated look, we can help you. Give us a call (626-824-7690) to discuss your project. Vision interiors is a full service interior design firm specializing in residential design. It is our goal to create beautiful spaces that are practical and uniquely you. Jessica Spriestersbach has been creating exceptional custom designs in Orange County, Colorado and Cabo San Lucas, MX since 2001. Her travels to luxury resorts all over the world has given her inspiration when approaching each new project. Her design aesthetic is clean, fresh, organic, and minimal with high fashion accessories and touches of luxury you would experience in a spa resort. Ms Spriestersbach believes that great interiors are always created with a combination of experience, aesthetics, and a good dose of intuition--just knowing what works perfectly for the space. "I consider myself to be an expert on the California lifestyle--after all, I have been living it, and loving it for over 20 years!" Our goal is to make your home a reflection of "you". We cover all aspects of interior design from flooring, tile design, furniture and fabric design, space planning, color consultations, and more! With over 30 years experience, award-winning interior designer, Lisa Holt, specializes in delivering immersive environments that express the unique visions of every client. We work with great clients on great projects. Nate Fischer Interiors creates approachable spaces that tell the story of you and your home. No two projects are alike, and we have mastered the art of blending and balancing the best of modern and classic styles. Our typical client has a fairly good sense of what they want, but does not have the time, confidence or experience to bring their vision to reality. We break design projects down into manageable phases, and work one-on-one and step-by-step with our clients on each phase. Part of our process is working directly with your contractor or tradespeople, and connecting our clients with the right people to finish their project on time and on budget. From construction drawings to color selections we see to it that your project is finished to perfection. Just as important as a great looking home, is understanding and respecting our clients timeline and budget. We treat each budget as we would our own. The result is an intelligent mix of design, relationships, and all-around great style. Stiles Fischer believes in mixing timeless trends with modern design to achieve classy, chic, and beautiful interiors that fulfill all of their client's wishes. They believe in always caring for client's needs while providing a fresh and enjoyable approach to interior designs that can't be found anywhere else in Orange County. The goal of Stiles Fischer is to take interior spaces into a new echelon of style and functionality that will forever enhance the way their clients live life and perceive style. Details a Design Firm is a cutting edge full service interior design firm, where we work tirelessly to ensure every client receives superior customer service and satisfaction. Our homes can express who we are at the deepest level. Welcome to studio L where the spaces we create together can show your style and sophistication. Since 1994, Barclay Butera has been the creative force behind his eponymous design firm and showroom in Newport Beach, California. His success in Newport prompted Butera to establish showrooms in West Hollywood, California, Corona del Mar, California and Park City, Utah. Butera is renowned for his approachable elegance and glamorous, coastal-chic interiors. Butera’s passion for interior design began over two decades ago, and has grown into an impressive lifestyle enterprise that is known and sought after around the world today. In addition to his thriving interior design business, Butera’s most recent venture into licensing has landed him an unprecedented number of the industry’s most respected partners including: Bradburn Gallery Home, Castelle, Eastern Accents, DuChateau, Highland House Furniture, Kravet, Leftbank Art, Mirror Image Home, Napa Home & Garden, Nourison, MDC/Winfield Thybony. Barclay’s spectacular design projects and his myriad of licensing collections are frequently featured in luxury consumer publications, décor, lifestyle magazines and television including: NBC’s Today Show, Extra!, CBS, ABC, Fox, Beautiful Homes & Great Estates, HGTV; he has received press in the New York Times, New York Post, Los Angeles Times, Wall Street Journal, Elle Décor, House Beautiful, House & Garden, Luxe, Ocean Home, Traditional Home, Veranda, Western Interiors & Design, Esquire, Robb Report, 1stdibs.com, OneKingsLane.com, Gilt.com, and ArchitecturalDigest.com. Butera is also the author of five coffee-table books: Living In Style, Barclay Butera – Living On The Coast, Barclay Butera – Getaways and Retreats, Barclay Butera: Past, Present, Inspired a design retrospective, and Barclay Butera: Modern Living. Hamer Interior Design brings decades of experience through a multi-generational approach to service all of our client's needs. Armstrong Home Staging and Design - Our Staging & Design turns a house into a functionally beautiful home. Assisting Realtors, Home Flippers, Contractors and Homeowners taking homes from ordinary to extraordinary in preparation for sale or daily living. Our services also include functional furniture placement for daily living, as well as paint color and finish selections for home remodels. We are an accredited, professional team that stands behind the work we do!